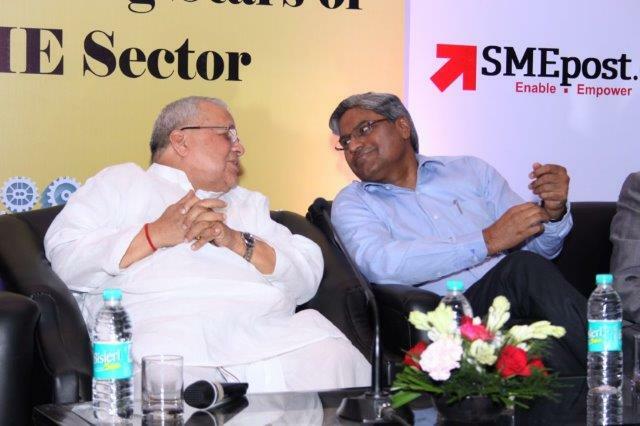 Union Micro, Small & Medium Minister, Kalraj Mishra has said that the small entrepreneurs across India deserve greater recognition for their stellar contribution to the Indian economy. The minister congratulated all award winners and wished that they will win many more awards in the future. “I hope that SMEpost.com will organize more ceremonies like this in more effective way which will propel the growth of SME Sector,” he observed. Delivering the keynote address to mark the occasion, the minister said that the government was committed to foster the speedy growth of the MSME sector. 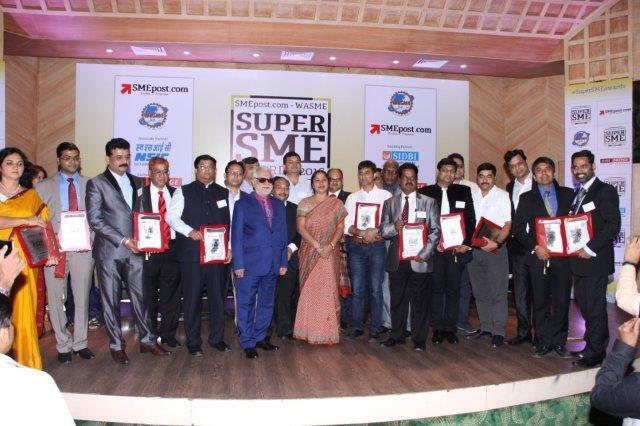 SMEpost.com and WASME announced the winners of the inaugural edition ‘SMEpost.com – WASME Super SME Awards2016’ at an event held at the PHD House, New Delhi. These awards have been constituted to celebrate the Success Stories of Indian SME Sector who have scored big through innovative thinking, operational efficiency, futuristic strategies, smart marketing, business growth, contribution to employment generation and exports besides setting new benchmarks in product & service innovation. 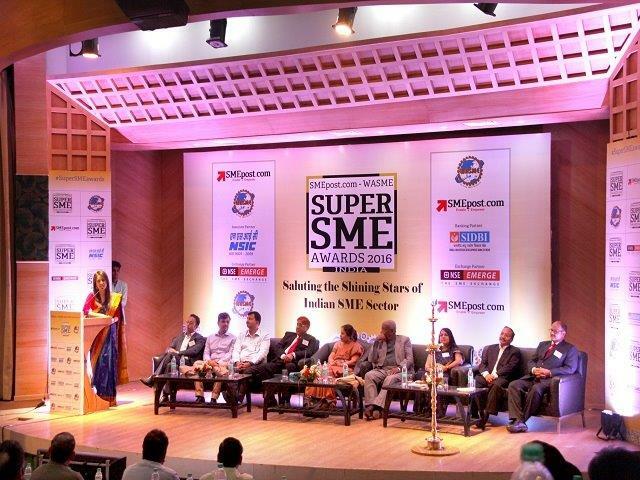 The awards witnessed attendance from some of the biggest names in the Indian Super SME industry who all came together to felicitate the best in the sector. The high powered Jury panel comprised Editors and media professionals having been associated with leading media brands. It also comprised former and current senior bureaucrats associated with Union & State Governments in various capacities apart from professionals from the Industry and civil society organizations. Speaking on the occasion, Gyan Prakash Agarwal, Secretary General, WASME said, “SME Award is a tradition of WASME to recognize the performers of world’s most thriving sector, i.e. SME Sector. WASME is an international NGO that works closely with MSME experts across the world. Uma Nath Tripathi, Director – Operations, SMEpost.com said “We have extensively leveraged the power of the digital media to promote these awards. Despite the fact that the call for nominations has been mostly limited to social media, it evoked considerable traction amongst all relevant stakeholders”. Bio-Med Healthcare Products Pvt. Ltd.
KNG Agro Food Pvt. Ltd.
Special Contribution Award – IndiaMART | IndiaMART offers a platform and tools to over 2.6 crore buyers to search from over 3.3 crore products and get connected with over 22 lakh reliable and competitive suppliers. Founded in 1996, the company’s mission is ‘to make doing businesses, easy’. Social Entreprenuership Award – Citizens First – A Special Social Entrepreneurship Award was conferred on ‘Citizens First’ – A non-profit organization based in Virginia that promotes entrepreneurship at the grassroots level for socio economic development in India apart from fostering human-rights, diversity and justice for all.